Our students really deserve it! Children’s Workshop, a member of TIEE’s family of schools, is certified by the California Department of Education and accredited by the Western Association of Schools and Colleges (WASC). Children’s Workshop is a highly structured ABA program, providing discrete-trial and incidental learning opportunities for its students in a safe school that emphasizes positive reinforcement for desired student behaviors. Our team includes credentialed special educators, a Speech/Language Therapist, and an Occupational Therapist and is led by two Program Coordinators and a Director. 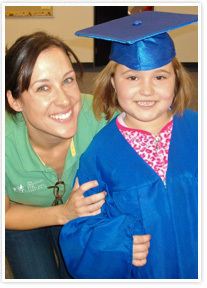 In addition to their California credentials, several staff members also are Board Certified Behavior Analysts (BCBAs). We make learning as fun as possible for our kids.